Joey Muha is a Canadian drummer from Port Dover, Ontario. He is best known for his innovative YouTube videos, many of which have millions of views and have been featured on influential websites around the internet, as a member of the Canadian industrial metal band Threat Signal and Wisconsin death metal band Jungle Rot. He has played for bands associated with Nuclear Blast Records, Victory Records, MapleMusic Recordings, etc. Joey grew up in a small beach town in Southern Ontario named Port Dover. He started playing drums around the age of 14 and has been playing in bands ever since. He initially started playing with his older brother, Willie, and has since moved on to different bands. He was taught by his local drum teacher, Adam Reid, for a brief period and then continued on his own. 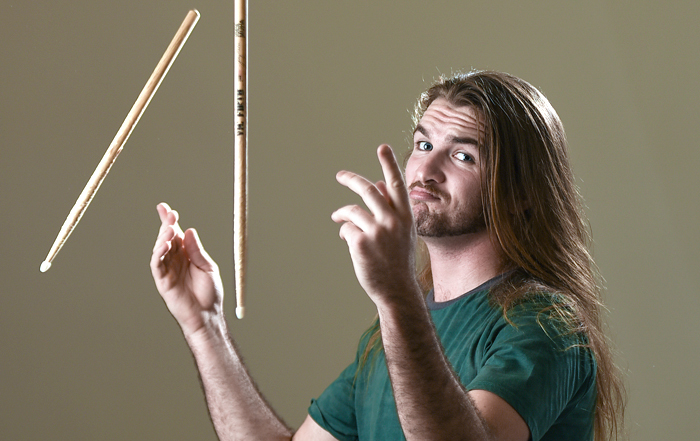 He has been recognized as covering a wide variety of genres and styles of drumming. Joey is currently playing in a band called Liteyears, a five-piece pop band hailing from Toronto, Ontario. One can expect to see Liteyears on the road as the band embarks on a nationwide tour in support of their debut effort.